After reading the book Dinosaur Dance by Sandra Boynton, your kids are going to want to see dinosaurs dance in real life. Well, dinosaurs have been extinct for a long time so your children can’t dance with real dinosaurs. They can, however, make toy dinosaurs dance. Your children will probably come up with all kinds of fun dance moves for the toy dinosaurs. 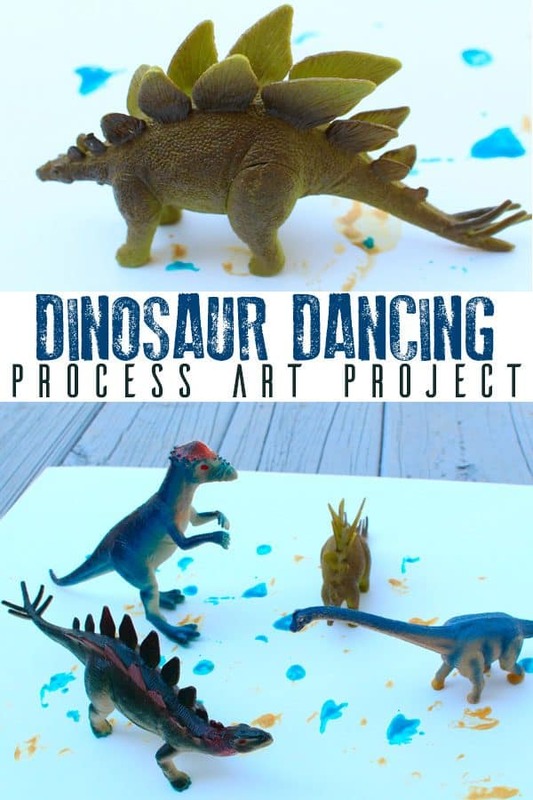 After exploring the dinosaurs on their own, children will have a blast using them to create abstract art while completing this process art project. 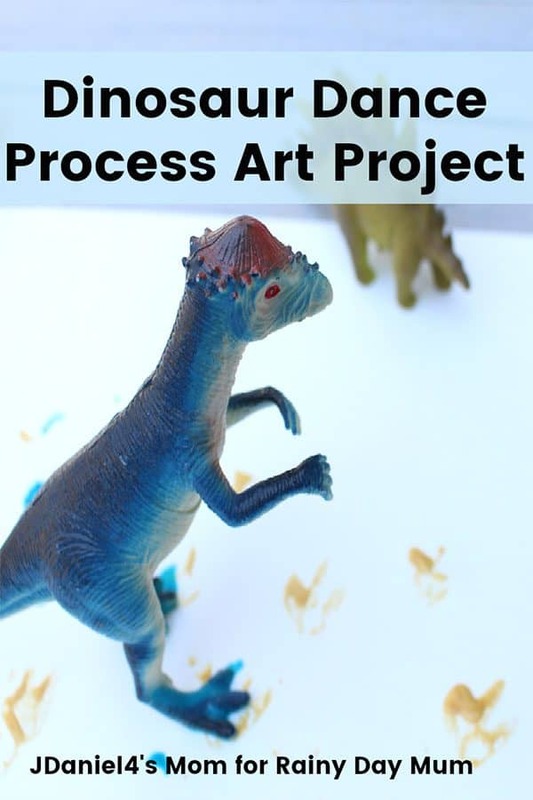 What is process art? Process art focuses on the experience children have while creating a project and not the end result. It leaves the door open for kids to take risks with art and not worry about if it looks right. 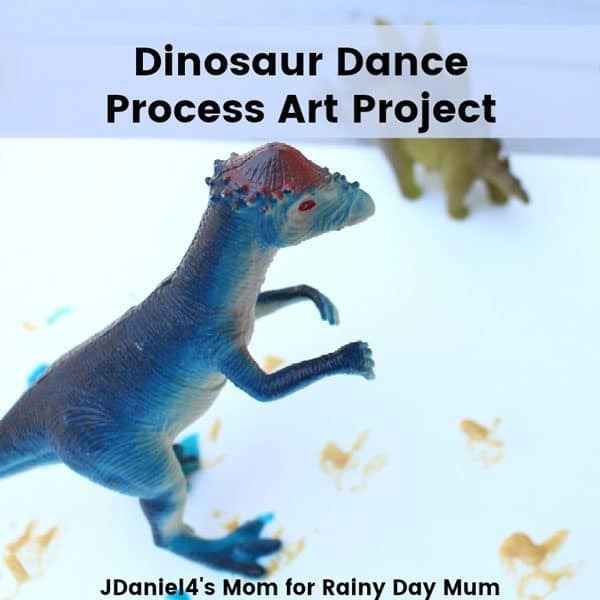 For your convenience, we are providing the affiliate link for the book Dinosaur Dance by Sandra Boynton to read whilst you do this art project. Your children won’t need a lot of supplies for this process art project and there is very little prep work for you. 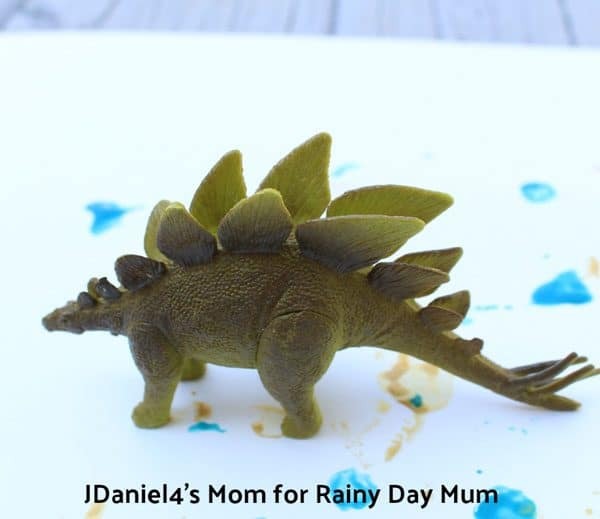 You may want to show your children how to place paint on the feet of the dinosaurs. We found that paint the bottom of the dinosaur’s feet was less messy and made better footprints. Stamping the dinosaurs into the paint caused the paint to fly around. If you children don’t know how to stamp an object on paper, you might want to show them how to place it firmly on the paper and press it down. 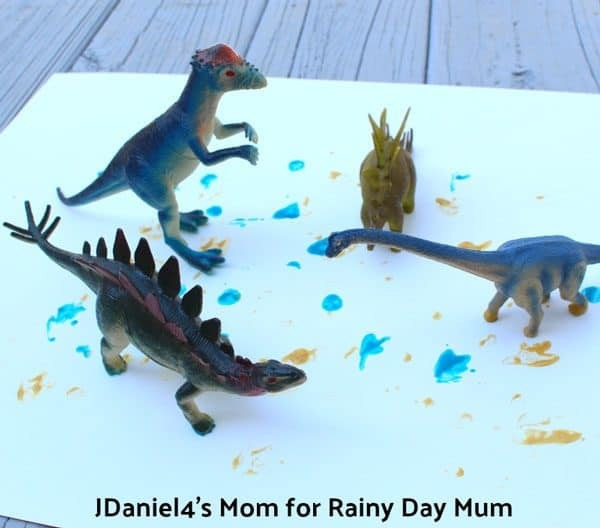 When you finish this painting project, you will not have recognizable dinosaur painting. You will have a recording of how the dinosaurs danced. 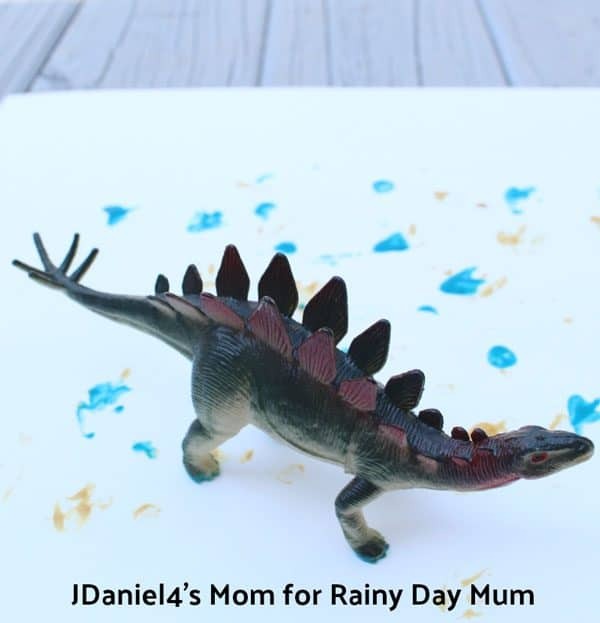 Even more Dinosaur Crafts and Activities for Toddlers and Preschools to make!